The most favorite holiday of Russians is the New Year. It is celebrated on the night of December 31 to January 1. And this is a family holiday. About traditions, history and New Year's symbols we will tell in our detailed article. Very old and favorite holiday in Russia. First, in Ancient Rus, the New Year was celebrated on March 1, as spring began, nature blossomed. Now, as a national memory, there is a traditional festival - Maslenitsa (lasts a week, symbolizes the end of winter and the beginning of spring). And since 1492 the New Year began to celebrate September 1 according to the church calendar (the Russian Orthodox Church adhered to the Julian calendar). 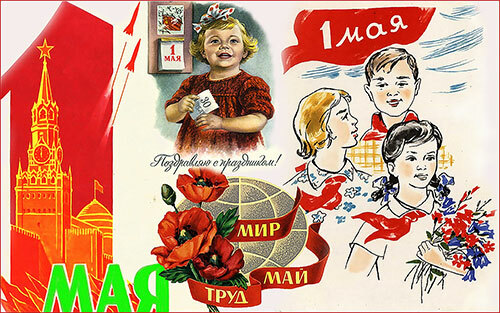 Today in Russia this day is celebrated the Day of Knowledge and a new academic year begins. By the way, thanks to the Julian calendar in Russia, two times celebrate the New Year - January 1 and January 13 (Old New Year). In 1700 with Peter I Russia began to celebrate the New Year on January 1, as in other European countries. The New Year is a traditional holiday, which symbolized the beginning of the calendar year. And since 1930, this day was an ordinary working day and was not even celebrated. And only in 1947 this day became a non-working holiday. Today in Russia, New Year holidays last 8 days - from January 1 to January 8. The main symbol of the holiday. Usually it is decorated a few days before the New Year. You can put a natural tree, or you can choose artificial. Now, by the way, have become popular unusual installations of Christmas trees from books, bottles, pillows, etc. 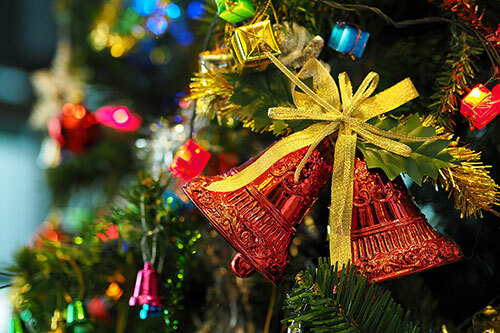 The Christmas tree will stay until Christmas (January 7) or even until the Old New Year (January 13). For a while, the tree was even banned as a "bourgeois" or anti-Soviet symbol, but soon it returned and became a "New Year" (until the year 1920 the Christmas tree was an attribute of the Christmas holiday). 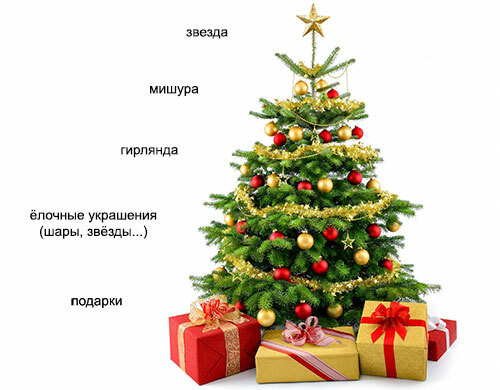 Also "Yolka" in Russian is called a children's performance, in which small children dance around the tree, watch the New Year's performance and receive gifts. 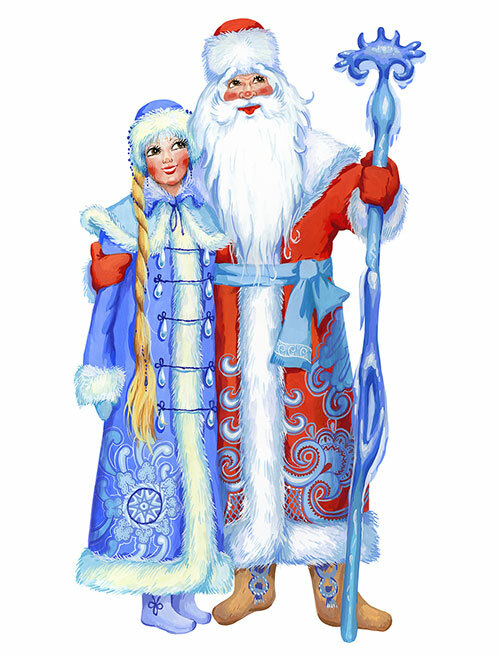 And under the Christmas tree in the house you can find gifts, but usually Grandpa Frost and Snow Maiden bring gifts. The main fairy-tale character at the festival is Ded Moroz (Grandpa Frost), who always comes with his beloved granddaughter Snegurochka (Snow Maiden). They bring gifts. Initially, Father Frost in Slavic culture was the master of winter, cold and frost (therefore in Russian his name is "Ded Moroz", or "Moroz Ivanovich", or "Morozko"). And the Snow Maiden was a fictional girl, made of snow. Ded Moroz (Grandpa Frost) is necessarily an old man with a long white beard in a blue or red fur coat and with a long magic staff (a sign of power), in valenki on his feet and in a warm hat. Snegurochka (Snow Maiden) is always a young girl in a blue fur coat, boots, with a length of oblique and in a warm hat (sometimes it can be a kokoshnik). On December 31, by tradition, all Russian families are preparing for the celebration. They cook salads (the most traditional ones are "olivier", "selyodka pod shuboi/herring under the fur coat"), set the table (necessarily salads, tangerines and champagne), watching New Year's movies (from the most beloved is "The Irony of Fate, or With Easy Steam"). And 5 minutes before the New Year, listen to the speech of the Russian president. Usually the head of state remembers the events of the year, sees him off and congratulates the residents on the upcoming holiday. After the President's speech, the Chimes or Kremlin Clock (clock on the Spassky Tower of the Kremlin) sound 12 times. During the battle of the chimes you can make a wish that will necessarily come true next year. 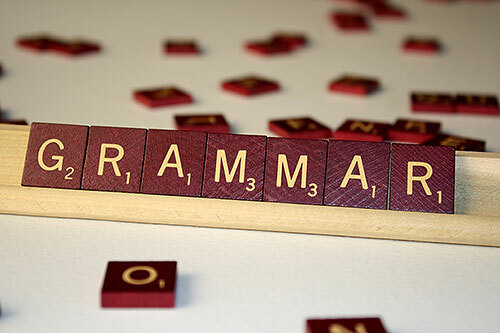 "The Irony of Fate, or Enjoy Your Bath"
Pictures from pexels.com, pixabay.com, yandex.ru.